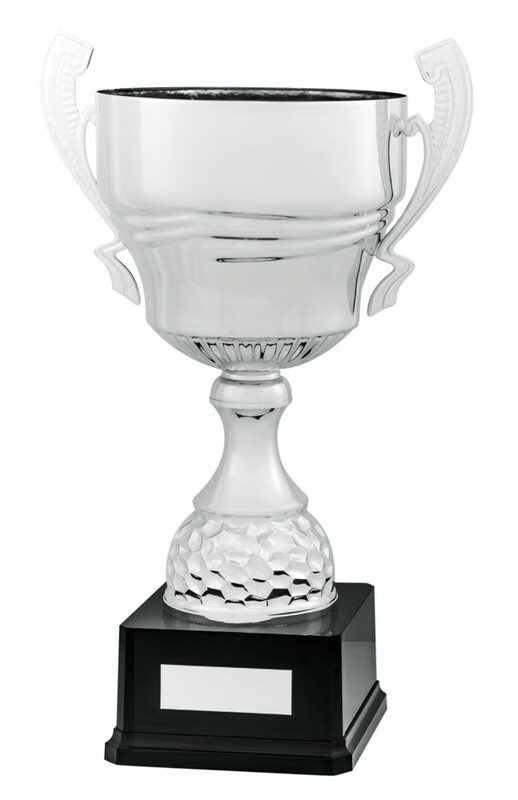 Large Ultimate Series Silver Super Cups. Available in 4 sizes, 360mm, 390mm, 420mm and 450mm high. Large metal silver cup with handles, plastic riser mounted onto a heavy weighted black base.